Marking the accession of H. M. the Queen. Last updated Thursday, 7 February 2019 at 22:23:50. First submitted Wednesday, 6 February 2019 at 12:43:47 by Howard E J Smith. 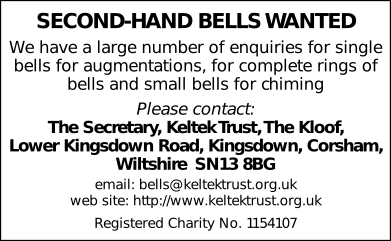 Sent for publication in The Ringing World on Wednesday, 6 February 2019 at 12:44:01, and printed in one of issues 5627 or 5628. This performance has been viewed 442 times.